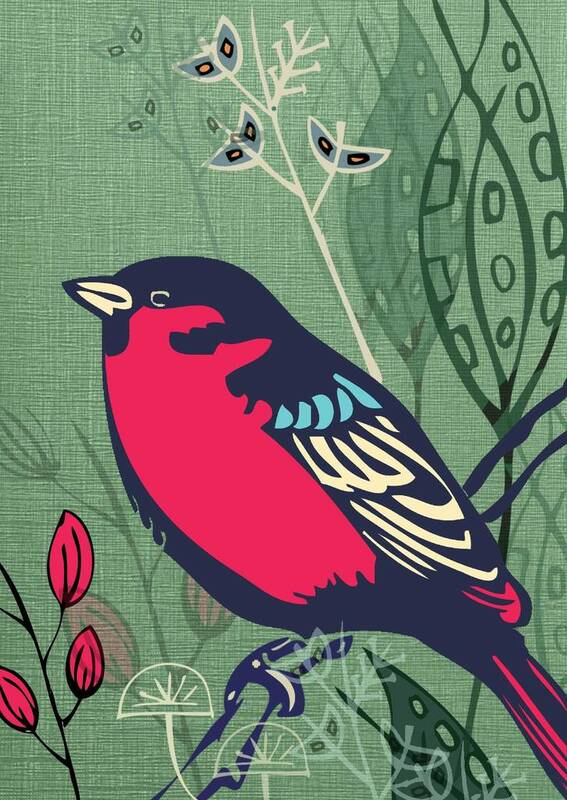 A vibrant design which incorporates animals on a retro prints backdrop. 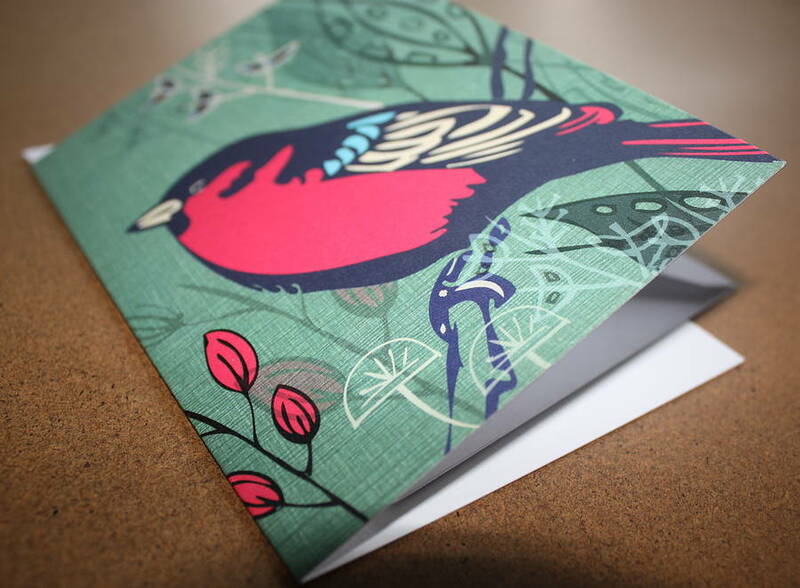 A card printed on a sturdy textured board. This card is blank and therefore suitable as a birthday card, a 'thank you' card or any occasion! It is printed here in the UK on a textured 350gsm board using FSC certified card. There are 8 other designs in this retro inspired range. The card comes with a quality white envelope and a wrapped in cellophane. This design is a member of the 'Wilderness Prints' range of which there are 8 other animals, depicted in a similar retro style. 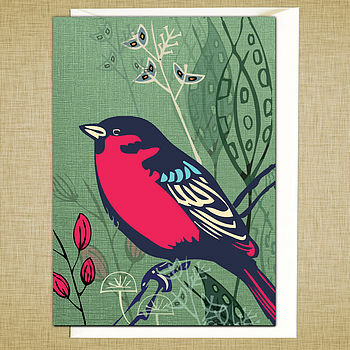 The card is printed here in the UK on a textured 350gsm board using FSC certified card. There are 8 other designs in this retro inspired range. The card comes with a quality white envelope and a wrapped in cellophane. This product is dispatched to you by Rocket 68.